The time is now to embark on a five-star sailing holiday in the sun-soaked islands of the Bahamas aboard luxury catamaran WHISPERS. Experience the ultimate in pampering and escape to a paradise filled with palm-fringed white sand beaches and turquoise seas in Nassau, the Exumas, or the Abacos. Promising to deliver pure bliss, WHISPERS features impeccable interiors, top notch amenities and deluxe accommodations for up to 8 guests in 4 double ensuite cabins. WHISPERS is available for charter in the Bahamas until December at all-inclusive weekly rates starting at $12,000. 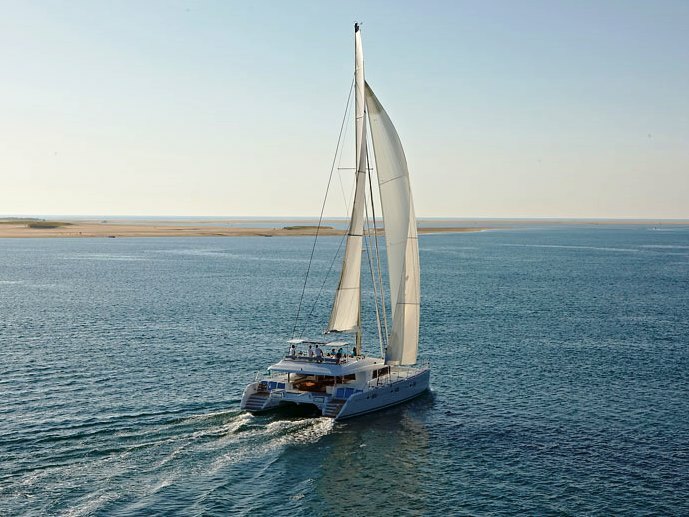 This summer give in to temptation and indulge in a transcendent vacation sailing along the breathtakingly beautiful shores of Croatia aboard luxury catamaran GO FREE. Spend each moment surrounded by luxury and comfort on an unforgettable island-hopping getaway complete with a picture-perfect backdrop of sapphire blue waters, rocky cliffs, and stunning beaches. GO FREE is an exceptionally stylish charter yacht boasting of an open and airy layout, soothing décor, and spacious accommodations for up to 8 guests in 4 cabins. Weekly rates start at €20 000 plus expenses. For more information about chartering WHISPERS in the Bahamas or GO FREE in Croatia, please contact us at charter@sunreef-charter.com .